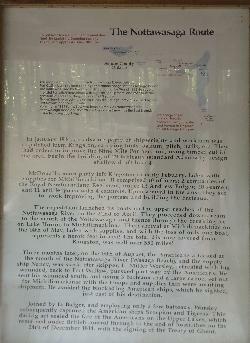 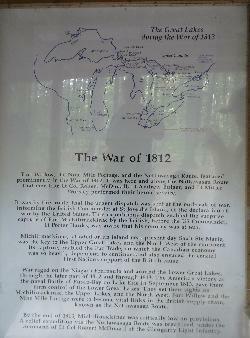 One of a set of signs at Fort Willow, describing the involvement of Fort Willow in the War of 1812. 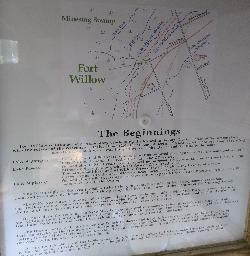 Located in Ontario near the minesing swamp. 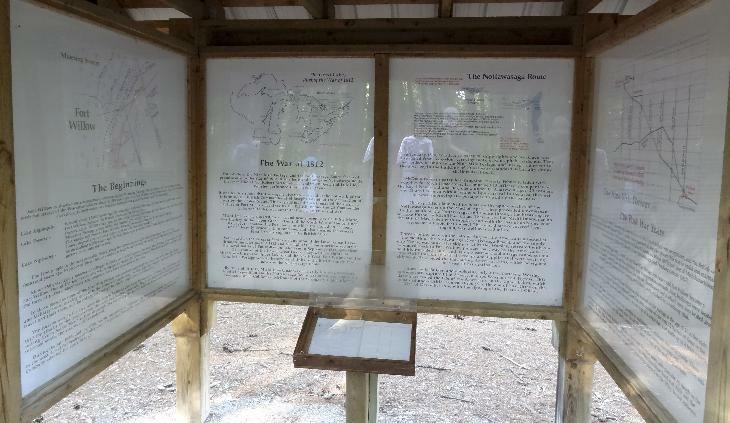 from site: Information kiosks give a thorough history of the area's past use and how its location helped ensure the geographical boundaries of Canada today. 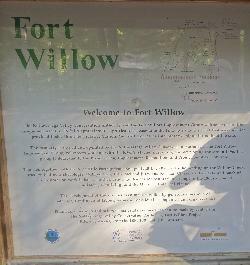 Hike the surrounding trail network and plan to have lunch at the Fort. 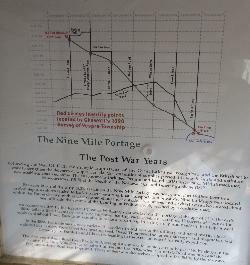 from site: Strategically located as a supply depot during the War of 1812, the Fort Willow area was also used for centuries by our Aboriginal peoples, the fur traders and explorers, as part of a major transportation route known as Nine Mile Portage.